You are here: Home / What are SVG Cut Files? 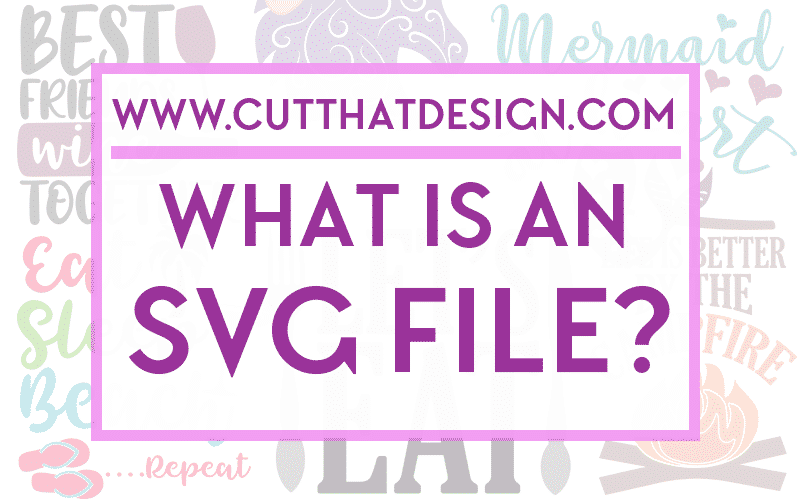 You have probably come across the phrase SVG Cut Files, especially if you own a Cricut or Silhouette Cutting Machine. SVG is an acronym for Scalable Vector Graphic. This is a two-dimensional XML based vector image format. Think of it like a recipe for your cutting machine telling it what to do in order to cut out a design. How can you open an SVG File? If you like downloading Free SVG Files from our site for example, then you will need a program to open them. We primarily deal with Silhouette and Cricut machines here and that’s what we will mostly talk about today. Programs within the Adobe Creative Suite, for example Illustrator and Photoshop. TIP: See our guides on opening SVG Files in Silhouette Designer Edition and opening SVG Files is Cricut Design Space. Where to get Free SVG Cut Files? Our Site Cut that Design has over 1000 Free Cut Files. Take a look at our list of Free SVG Sites. Typically when you download a Free SVG File or purchase one, they will packaged in a zip file. Before you can open the SVG File contained within, you need to extract it from the ZIP File. See our guide on Unzipping SVG Cut Files in Windows. Sign up to our Newsletter below to keep up to date with our freebies.